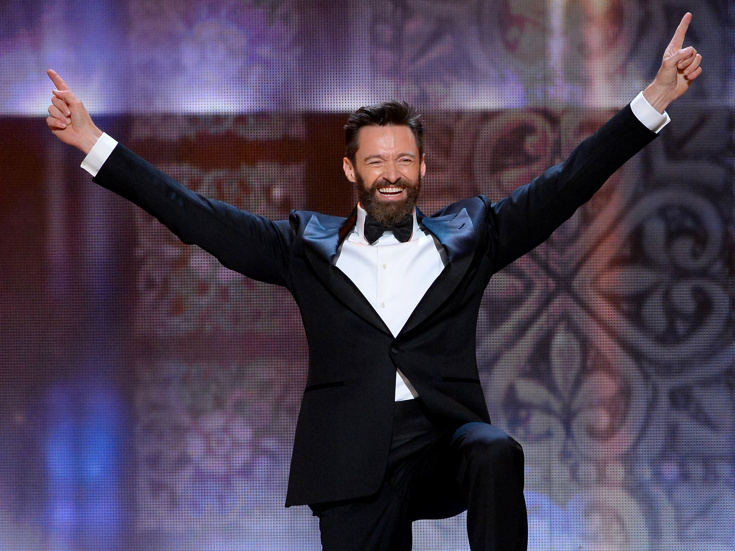 Tony winner James Corden is blatantly going to kill it when he hosts the Tony Awards for the first time on June 12 and four-time Tony emcee Hugh Jackman wishes him well. “This is the most supportive, generous crowd you'll ever have,” the Wolverine star told The Hollywood Reporter. “I'm thrilled for him." Jackman does, however, have some advice for Corden on keeping the audience inside the Beacon Theatre’s attention: "I highly recommend going out during the commercial break and mucking around with the crowd.” We’re sure that whatever the Carpool Karoke favorite gets up to, he’ll have us eating out of the palm of his hand. One of the Main Stem’s favorite events, Stars in the Alley, will take place on June 3 at 12:30 PM in Shubert Alley. The free outdoor concert with live music celebrates the end of the 2015-2016 Broadway season and adds to the festivities leading up to the Tony ceremony (with or without Corden chatting to the audience). No word yet on the show's lineup, but it always consists of performances from this season as well as numbers from current long-running shows. Mark your calendars! Breathe! New cast members have been added to London’s In The Heights from April 11. Christine Allado (From Here to Eternity) will play Vanessa, with Norma Atallah (The Sound of Music Live!) as Abuela and Jonathan Bishop (The Lion King) as Graffiti Pete (from April 15). Lin-Manuel Miranda’s tuner is running at the King’s Cross Theatre through October 30. Staying the other side of the pond for a moment, the Royal Shakespeare Company’s upcoming Chichester Festiveal Theatre productions of Love’s Labour’s Lost and Much Ado About Nothing (or Love’s Labour’s Won) will both transfer to the West End. They are scheduled to run at the Theatre Royal Haymarket December 9 through March 18, 2017. Also of note, the R.S.C.’s The Alchemist, Doctor Faustus, Cymbeline and King Lear will play the Barbican (where Benedict Cumberbatch did his triumphant Hamlet) this fall after regional runs. We love how Ariana Grande hasn't forgotten her Broadway roots in Jason Robert Brown's 13 ! After the singer sparkled at one of the composer's concerts earlier this year, it was time for the Tony winner to return the favor...at the MTV Movie Awards! Grande enlisted Brown for her stripped down rendition of “Dangerous Woman” on the April 10 telecast; check out the video here. P.S. Due to overwhelming public demand (surprise! ), the Hollywood Bowl's The Little Mermaid, starring Darren Criss, Sara Bareilles, Tituss Burgess, Rebel Wilson and more has added another date. The show will now play on both June 3 and June 4.